Lovely ranch home situated on over 6 acres of land. 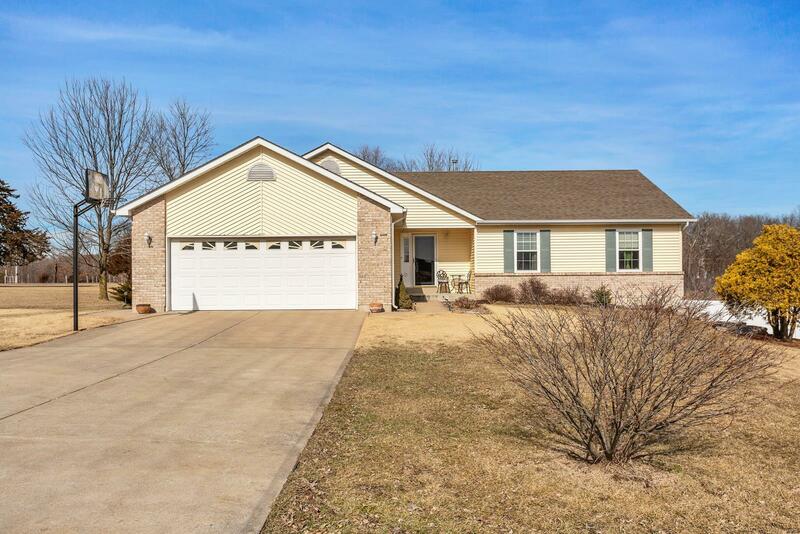 This well maintained home offers many updates and is perfect for horses. The fenced 3 acre pasture is directly across from main house and has water, electric (electric fence) and a horse run-in-shed.Open floor plan, updated flooring,main floor laundry, whole house water purifier and more.The lower level finished walk-out with large bedroom. large bath, rec area, family room, rough -in-for wet bar and wood burning stove. Two car extended garage is dry-walled and insulated.Notice the beautifully maintained yard with extensive landscaping,fenced garden area with raised beds & shed. Walk-out basement with doggy door and vinyl white privacy fence.